“What the hecksky? !” you say as you look at the two days on your calendar empty of any commitment or responsibility. How this small miracle has happened you’re not even sure, but you’re not exactly going to waste it, are you? Road trip! Road trip! Road trip! 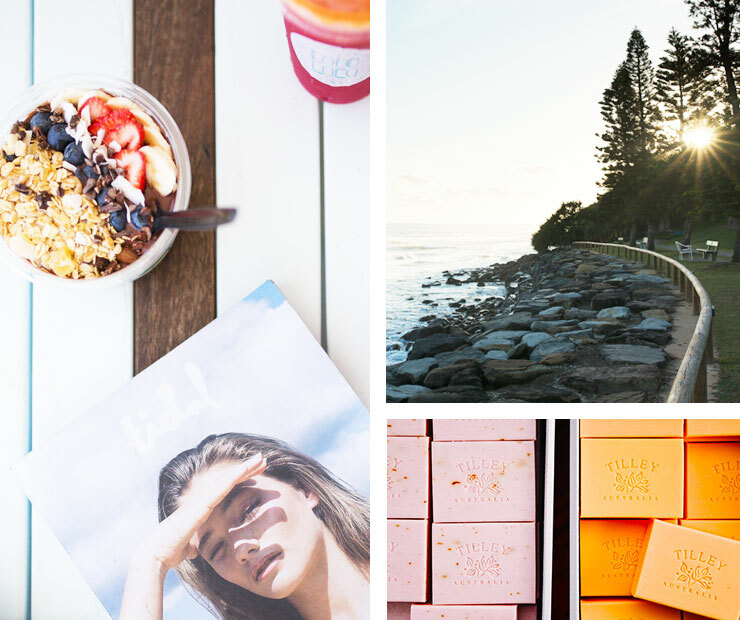 If Caloundra isn’t already top of your go-to vacay list on the Sunshine Coast then you don’t know what you’re missing. Packed with pristine beaches, stunning national parks, a burgeoning café scene and less hectic than Noosa, where have you been this whole time? 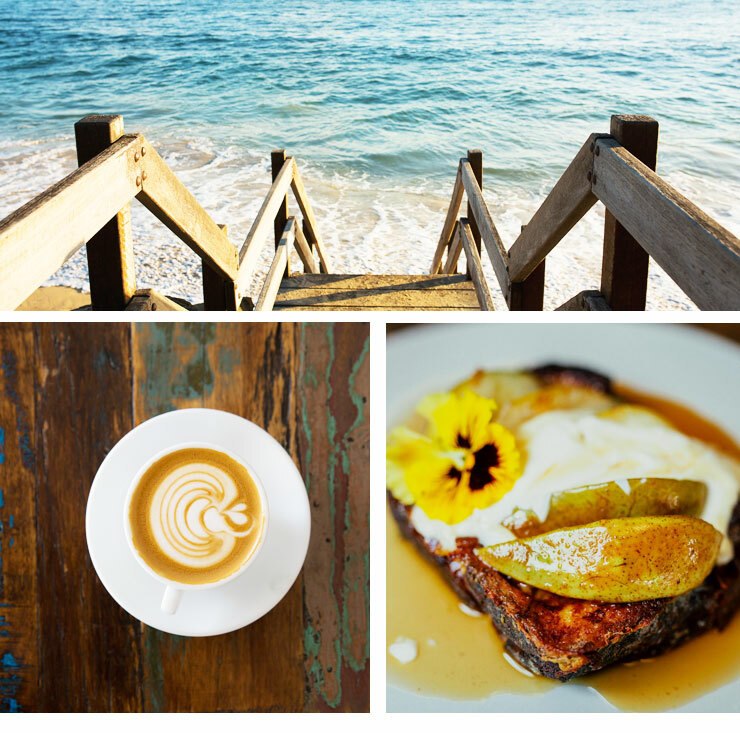 To get you in the holiday mood (and to save precious minutes of holiday time), check out our Caloundra hit-list of local cafes, restaurants, beaches and entertainment for you to squeeze into 48 hours of freedom. 5:30pm: Set a course for Caloundra and don’t look back until you have a cocktail in one hand, oysters in the other and an ocean sunset reflecting off your sunnies at Tides Waterfront Dining. Not a bad start! 8pm: Get right in to the swing of things with cracking live music and great bar food at Forty Five 51. One of Caloundra’s premiere live music locations, catch live local acts every Friday, Saturday and Sunday. Delicious tapas and a great selection of local brews are available, so let your hair down and slip into holiday mode! 11pm: Even though you probably haven’t had enough of your Friday night vibes, you’ve got a big weekend ahead so get some rest. Rest your head in ultimate luxury at Shearwater Resort. With beach views, and all you need within walking distance (bar, pool, you get the picture), catching zzz’s isn’t exactly difficult here. 6am: Rise and shine! Get acquainted with Caloundra’s beautiful coastline by taking a morning walk along the famous Boardwalk. One of the most scenic (and enjoyable) walks is starting at Golden Beach, making your way up through Happy Valley and up the hill to Kings Beach. The views are incredible! 8:30am: Fresh air = borderline starvation. You need bacon and you need it pronto! Perfect for a quick brekky is Izba. A fave haunt among locals, they have a rep for indulgent breakfasts and homemade cakes. Don’t leave without trying their salted caramel banana pancakes. 9am: Holidays are all about trying something new, and a cooking class at Red Hot Chilli Pepper is sure to spice things up! If you’re keen to try your hand at something more exciting that a Sunday roast, dabble in the culinary delights of Sri Lankan, Mexican, Indian, even Moroccan dishes! The experienced teachers will guide you through a morning of cooking (and eating the spoils, of course!) and will arm you with all the skills you need to make cooking at home easy as pie. 4:30pm: It’s been at least 2 hours since you’ve eaten, and a case of the hangries is setting in. The Pocket Espresso Bar is the answer. Dive in to a basket of their extra hot jerk chicken wings, and cheese stuffed jalapeno poppers with smokey paprika salt. One does not go without the other. 7pm: Partial to a bloody good beer? Drift Bar on the Esplanade and Blackwater Trading Co. in Moffat Beach are must-do’s for beer buffs and novices alike! If, somehow, the old appetite is kicking on again, Blackwater do an incredible degustation if you’re after something special, or enjoy Drift Bar’s extensive on-tap range with a bit of proper good pub grub. 10pm: Let the food coma finally hit you and head to bed with a full tummy and a happy head. You’ve earned it, trooper! 9am: Take a stroll down Bulcock St to the Caloundra Street Fair for a fine morning of delicious food, local gems (artisan wares, threads and feeds are the vibe here), and sunshine. Stock up on snacks for the day, fruit and veg for the week and handcrafted candles for the month, while you chill out to the local music acts. 12:30pm: You're obviously not quite ready to head back to reality just yet. Pick up an acai bowl from Melon Head Juice Bar and soak up the last of those coastal vibes. 1pm: No trip to Caloundra is complete without fitting in some traditional fish and chips! Get the Surf Pack from De Lish Fish, devour beachside before making tracks, then give yourself a pat on the back for a weekend well spent. Editors note: This article is sponsored by Caloundra Tourism and proudly endorsed by The Urban List. Thank you for supporting the sponsors who make The Urban List possible. Click here for more information on our editorial policy.